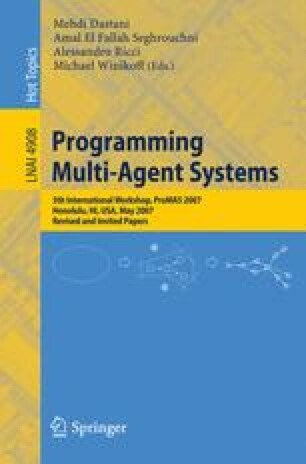 This paper summarises the Agent Contest 2007 which was organized in association with ProMAS’07. The aim of this contest is to stimulate research in the area of multi-agent systems by identifying key problems and collecting suitable benchmarks that can serve as milestones for evaluating new tools, models, and techniques to develop multi-agent systems. The first two editions of this contest were organized in association with CLIMA conference series. Based on the experiences from the previous two editions ([8,9]), the contest scenario has been slightly extended to test the participating multi-agent systems on their abilities to coordinate, cooperate, and their team work and team strategy issues in a dynamic environment where teams compete for the same resources. Six groups from Germany, Brazil, England, Australia and The Netherlands did participate in this contest. The actual contest took place prior to the ProMAS’07 workshop and the winner, a group from the technical university of Berlin, was announced during ProMAS’07.